Each year, SCICU recognizes and celebrates the best professors from its 20 member colleges through the Excellence in Teaching Award. One member of the faculty from each of institution is nominated for the award according to rigorous guidelines. This group of teacher-scholars represents many different academic disciplines and brings a rich diversity of education, experience, and interests to our campuses. The recipients are honored at a special dinner and awarded a $3,000 professional development grant. This year’s celebration was held on April 14 at the Columbia Metropolitan Convention Center. 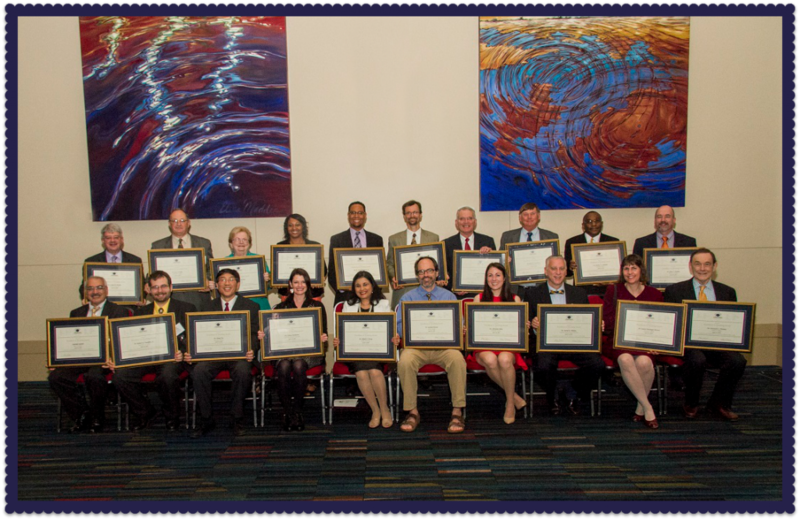 Nearly 200 were in attendance including the award recipients, their guests and colleagues, SCICU staff and board members, as well as members of the South Carolina General Assembly. SCICU gratefully acknowledges the following sponsors for their support of the 2015 Excellence in Teaching Awards Dinner: ABM Solutions, Aramark Higher Education, Bank of America, NBSC, Sodexo, TD Bank, TIAA-CREF, Total Comfort Solutions, and Vulcan Materials Company. To learn more about the award, please see the awards page. Read individual biographies by clicking the links below. For photographs of the event, visit our photo gallery.